Mercedes-Benz USA (MBUSA) is recalling 8,134 model year 2016-2017 GLC300s, GLC300 4MATICs and GLC43 4MATICs. The vehicles may have misadjusted headlights, possibly resulting in the low beam headlights insufficiently illuminating the roadway. As such, they fail to comply with the requirements of Federal Motor Vehicle Safety Standard (FMVSS) number 108, "Lamps, Reflective Devices, and Associated Equipment." Mercedes-Benz USA (MBUSA) is recalling 354,434 model year 2015-2017 C300 4Matic, C300, CLA250, CLA250 4Matic and CLA45 AMG vehicles; 2017 C300 4Matic Cabrio, C300 4Matic Coupe, C300 Cabrio, C300 Coupe, E300, E300 4Matic, E400 4Matic Wagon, E43 AMG 4Matic, GLA250, GLA250 4Matic and GLC300 4Matic Coupe vehicles; and 2016 C350e and GLC300 vehicles and 2016-2017 C450 4Matic AMG Sport and GLC300 4Matic vehicles. Mercedes-Benz USA (MBUSA) is recalling 10 model year 2017 AMG GTs & AMG GT-C Roadsters, and 2018 AMG GT-S & GT Roadsters equipped with AMG Performance Seats. The passenger occupant classification system (OCS) might not function properly, possibly causing the passenger front airbag to be incorrectly deactivated or incorrectly activated in the event of a crash. Mercedes-Benz USA (MBUSA) is recalling 16 model year 2019 E450 4Matic and E63S AMG wagons. The vehicles have a tailgate mounted spoiler that may not be properly attached and therefore could detach while the vehicle is being driven. If the spoiler detaches while the vehicle is moving, it can become a road hazard, increasing the risk of a crash. Mercedes-Benz USA is recalling 6,200 model year 2018 S450 4MATICs, S560 4MATIC Coupes, S63 AMG 4MATIC Coupes, Maybach S560 4MATICs, S560 4MATICs, S63 AMGs & S63 AMG 4MATIC Cabrios. The Hands-off-Detection system may malfunction, causing the Active Steering Assist system to remain engaged despite the driver's hands not being on the steering wheel for a prolonged period of time. Mercedes-Benz USA (MBUSA) is recalling 5,754 model year 2018 AMG S63 4MATICs, AMG S63 4MATIC sedans, AMG S63 4MATIC Cabriolets, S450 4MATIC sedans, S560 4MATIC coupes, S560 4MATIC sedans and Maybach S560 4MATICs. Due to an incorrect steering boot installation, the Active Steering Assist system may remain engaged despite the driver's hands not being on the steering wheel for a prolonged period of time. Daimler Vans USA (DVUSA) is recalling 17 model year 2016-2017 Mercedes-Benz Sprinter 2500 and 3500 vans, equipped with folding seats. The unloaded vehicle weight (UVW) label on these incomplete vehicles may be incorrect. The incorrect UVW label can result in final stage manufacturers exceeding the maximum vehicle weight once the vehicle is completed. A vehicle that exceeds its maximum weight has an increased risk of a crash. Mercedes-Benz USA is recalling 675 model year 2019 C43 AMGs, C43 AMG Cabrios, C43 AMG 4MATIC Coupes, C300 4MATICs, C300 4MATIC Coupes, C300 Coupes, C300 Cabrios, C300 4MATIC Cabrios and C300s. After parking and exiting the vehicle, the Electronic Stability Program (ESP) software may prevent the electronic parking brake from being disengaged when returning to the vehicle, unless the ESP system is deactivated. Daimler Vans USA (DVUSA) is recalling 22 model year 2017 Mercedes-Benz Metris Vans manufactured September 9, 2016, to September 28, 2016. The passenger airbag may have been manufactured with an incorrect Tether Activation Unit (TAU). As a result, in the event of a crash necessitating deployment of the passenger front airbag, the air bag may not vent properly. An improperly vented airbag may not protect the front passenger as expected, increasing the risk of injury. Mercedes-Benz is recalling some several models because the windshield may come out. 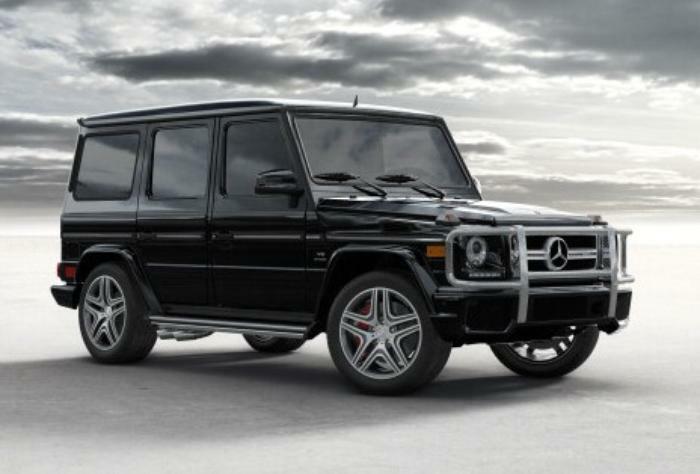 Mercedes-Benz USA (MBUSA) is recalling 10,832 model year 2013-2016 G550 and G63 AMGs and 2016 G65 AMGs. The steering coupling may have been insufficiently tightened, resulting in the steering connection wearing which could cause a loss of steering, increasing the risk of a crash. 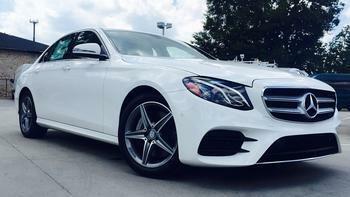 MBUSA will notify owners, and dealers will replace the steering coupling, free of charge. The recall is expected to begin in May 2017. Mercedes-Benz USA (MBUSA) is recalling 168 model year 2013-2014 C250, C300 4MATIC, GLK250 4MATIC BLUETEC and GLK350 vehicles; model year 2013 C250 Coupe, C350, C350 4MATIC Coupe, C350 Coupe and C63 AMG Coupe vehicles; and model year 2013-2015 GLK350 4MATIC vehicles. The steering coupling connecting bolt may have been insufficiently tightened, possibly resulting in a loss of steering and increasing the risk of a crash. Mercedes-Benz USA (MBUSA) is recalling 8,700 model year 2017 GLE400 4Matics; GLE350 4Matics; GLE350s; GLE550e 4Matics; GLE43 AMG 4Matics; GLE63 AMG 4Matics; GLS450, GLE63S 4Matics; GLS63 4Matics; S550e, S600, andS63 AMG 4Matics; S65 AMGs; S550s; Mercedes-Maybach S600s; Mercedes-Maybach S550 4Matics; GLE43 AMG 4Matic Coupes; GLE63S 4Matic Coupes; model year 2017-2018 GLS550 4Matics; S550 4Matics; model year 2018 S450s; and S63 AMG 4Matics. Mercedes-Benz recalls model year 2018-2019 GLA250s and GLA250 4MATICs. Mercedes-Benz USA is recalling 13 model year 2018-2019 GLA250s and GLA250 4MATICs. The sunroof bonding may allow water to leak into the vehicle. This could affect the electrical contacts of the window airbag, potentially causing it to fail to deploy as intended, increasing the risk of injury in the event of a crash. Mercedes-Benz USA (MBUSA) is recalling 2,364 model year 2018 C300s and C300 4MATIC. The headlights on these vehicles may not be properly adjusted. As a result, the driver may have reduced visibility, increasing the risk of a crash. MBUSA has notified owners, and dealers will inspect the setting of the headlights and adjust them, as necessary, free of charge. Mercedes-Benz USA (MBUSA) is recalling 5,826 model year 2016 GLE450 AMG 4Matic Coupes manufactured December 10, 2014, to June 6, 2016. An error within the engine control unit (ECU) software may allow the engine to shut-down while the vehicle is braking, possibly confusing the driver into thinking the shut-down was planned due to the ECO start/stop function. If the engine shuts down unintentionally, there may be an increased risk of a crash. MBUSA will notify owners, and dealers will update the ECU software, free of charge. The recall is expected to begin in July 2016. Mercedes-Benz USA (MBUSA) is recalling 423 model year 2015 ML250, ML350, ML350 4Matic, ML400 4Matic, ML63 AMG; and 2016 GLE450 AMG 4Matic vehicles manufactured from April 27, 2015, through May 19, 2015. The recalled vehicles may have had the right rear seatbelt anchor bolt incorrectly installed. MBUSA will notify owners, and dealers will inspect and, if necessary, correct the installation of the right rear seat belt anchor bolt, free of charge. The recall is expected to begin in July 2016. Mercedes-Benz USA (MBUSA) is recalling 62 model year 2016 GLC 300 SUV, GLC 300 4Matic SUV, C300 Sedan and C300 4Matic vehicles manufactured February 8, 2016, to May 18, 2016. The recalled vehicles may be equipped with an Electronic Stability Program (ESP) control unit that may have been damaged before being installed. Mercedes-Benz USA (MBUSA) is recalling 6,858 model year 2017 E300 Sedans and E300 Sedan 4Matics manufactured December 10, 2015, to June 30, 2016. The vehicle's rear bench seat frame may contact and damage the wiring harness for the fuel pump, fuel tank pressure sensor or fuel level gauge. Damage to the fuel pump wiring may result in an engine stall, increasing the risk of a crash. Mercedes-Benz USA (MBUSA) is recalling 2,215 model year 2016-2017 GLE 300d 4MATIC, GLE 350, GLE 350 4MATIC, and GLE 400 4MATIC vehicles manufactured October 14, 2015, to November 23, 2015. The vehicles' low beam headlights may not be adjusted properly. Thus, these vehicles fail to comply with the requirements of Federal Motor Vehicle Safety Standard (FMVSS) number 108, "Lamps, Reflective Devices, and Assoc. Equipment." If the low-beam headlights are out of adjustment, the driver's visibility may be reduced, increasing the risk of a crash. MBUSA will notify owners, and dealers will inspect and correct the headlight adjustment, as necessary, free of charge. The recall is expected to begin in November 2016. Mercedes-Benz USA (MBUSA) is recalling 672 model year 2016-2017 S63 AMG Coupes, S65 AMG Coupes, S550 Coupe 4Matics, S63 AMG 4Matic Convertibles, and S550 Convertibles manufactured June 29, 2015, to March 15, 2016. The seat belt extenders may not retract as intended and could break the event of a crash. If the seat belt extender does not retract and/or the extender breaks, the seat occupant may not be properly restrained, increasing the risk of injury. MBUSA will notify owners, and dealers will update the control unit software, free of charge. The recall is expected to begin in mid-December 2016. Mercedes-Benz USA (MBUSA) is recalling 799 model year 2017 E400 4Matic Coupes, E400 Convertibles, E550 Coupes and E550 Convertibles manufactured June 7, 2016, to September 8, 2016. There may be insufficient clearance between the vehicle's left catalytic converter and the composite underbody panel causing the panel to melt, increasing the risk of a fire. MBUSA will notify owners, and dealers will inspect and replace the underbody panel, as necessary, free of charge. The recall is expected to begin in December 2016. Owners may contact Mercedes customer service at 1-800-367-6372. Mercedes-Benz USA (MBUSA) is recalling 70 model year 2013-2015 SL550, 2013-2014 SL63 AMG, 2014-2016 E350, 2014 E350 Cabriolet, E350 Coupe, 2014-2015 S550, 2015 E350 Bluetec, 2015-2016 E400, 2016 E550 Coupe, and Maybach S600 vehicles manufactured August 23, 2012, to August 14, 2015. The vehicles use an electric power steering system that may have improperly soldered contacts inside the control unit, potentially resulting in the power steering system deactivating while driving. If the control unit pins lose connection, there would be a loss of electric power steering assist, increasing the risk of a crash. The increase in pin contact resistance can also increase the risk of a fire, even while the vehicle is parked and ignition is off. MBUSA will notify owners, and dealers will replace the electric power steering control unit, free of charge. The recall is expected to begin February 2017. Owners may contact MBUSA customer service at 1-800-367-6372. Mercedes-Benz USA (MBUSA) is recalling 47,799 model year 2016-2017 GL350 4Matic Bluetec, GL550 4Matic, GLE350 4Matic, GLE43 AMG Coupe, GLE450 4Matic, 2016 GLE300d 4Matic, GLE350, GLE350d 4Matic, GLE400 4Matic, GLE550e 4Matic, GLE63 AMG, GLE63 AMG 4Matic, GLE63S AMG 4Matic Coupe;, and 2017 GLS63 AMG vehicles manufactured April 23, 2014, to May 10, 2016. The front passenger seat Occupant Classification System (OCS) calibration may be incorrect, and as a result, the system can incorrectly classify the occupant as a child seat, deactivating the front passenger airbag. If the front passenger airbag does not deploy as necessary in the event of a crash, the front passenger has an increased risk of injury. 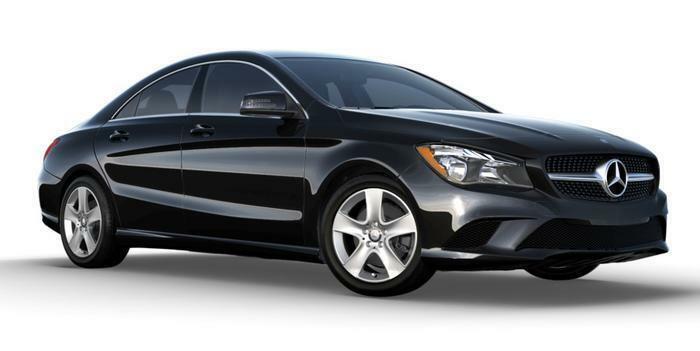 Mercedes-Benz USA (MBUSA) is recalling ten model year 2014 CLA250 vehicles manufactured December 14, 2012, to April 24, 2013 and equipped with gasoline engines. The vehicles have a fitting that connects the vacuum line to the brake booster which may break causing increased force to be needed to apply the brakes. MBUSA will notify owners, and dealers will replace the connector end fitting at the brake booster, free of charge. The recall is expected to begin in February 2017. Mercedes-Benz USA (MBUSA) is recalling 48 model year 2015 GL350 4Matic Blutec, GL450 4Matic, GL550 4Matic, ML250 Blutec, ML350, ML350 4Matic, ML400 4Matic; and 2015-2016 GL63 AMG 4Matic vehicles manufactured September 29, 2014 through March 27, 2015. The axle bolts on the front and/or rear drive axle carriers may not have been assembled correctly. As a result, the remaining bolts may fracture. MBUSA will notify owners, and dealers will replace the axle carrier bolts, free of charge. The recall is expected to begin in February 2017. Mercedes-Benz is recalling several 2017 models because of a potential problem with the airbags. The company said the front passenger occupant detection control unit may have been incorrectly installed. As a result, the front passenger seat occupant may be misclassified. For example, an adult may be misclassified as a child seat, causing the front passenger air bag to be deactivated in the event of a crash, which could cause injury or death. Affected models include certain 2017 E300, E300 4Matic, and E43 AMG vehicles. Mercedes-Benz USA (MBUSA) is recalling 411 model year 2016-2017 E300 and model year 2017 E300 4MATIC vehicles. The recalled vehicles have a roof-mounted spoiler that may not be properly attached and thus may detach during driving. If the roof-mounted spoiler detaches, it can become a road hazard, increasing a risk of a crash. Mercedes-Benz recalls model year 2017 E300s and E300 4Matics. Mercedes-Benz USA (MBUSA) is recalling 65 model year 2017 E300s and E300 4Matics. The front passenger airbag may not deploy properly if a passenger is sitting on the edge of the seat or is lying in the seat with the seat reclined. Failure of the airbag to deploy as intended could increase the risk of occupant injury. MBUSA will notify owners, and dealers will update the air bag control module software, free of charge. The recall is expected to begin in April 2017. Owners can contact MBUSA customer service at 1-800-367-6372. Mercedes-Benz USA (MBUSA) is recalling 26 model year 2016 G550 4MATIC and G63 AMG vehicles. The cable that unlatches the door when the inner door handle is pulled may break if the door is difficult to release, such as could occur after a crash. As such, these vehicles fail to comply with the requirements of Federal Motor Vehicle Safety Standard (FMVSS) number 206, "Door Locks and Door Retention Components." If the cable breaks and the door cannot be opened from inside the vehicle after a crash, the occupant is at an increased risk of an injury. MBUSA will notify owners and dealers will replace the cable that connects the inner door handle and the door lock on all four doors, free of charge. The recall is expected to begin in April 2017. Owners can contact Mercedes-Benz customer service at 1-800-367-6372. Daimler Vans USA (DVUSA) is recalling 305 model year 2016 Mercedes-Benz Metris vehicles. The vehicles have front seat seatbelt pretensioners that may not function properly in the event of a crash. Mercedes-Benz USA (MBUSA) is recalling 9,379 model year 2017-2018 GLC300, GLC300 4Matic, and GLC43 AMG vehicles. The fixed panoramic sun roof frontal and side plastic panels may have insufficient bonding, allowing the panels to separate during vehicle operation. The sun roof panels detaching from the vehicle can increase the risk of a crash or injury for following traffic. Mercedes-Benz USA (MBUSA) is recalling 15 model year 2017 E300s and E300 4MATICs. The software for the widescreen instrument cluster may cause the instrument cluster to not display anything on vehicle startup, or the display may reset during driving. Mercedes-Benz USA (MBUSA) is recalling 72 model year 2017 E300, S65 AMG Coupe, S550, S65 AMG Cabriolet, S550 Cabriolet, S550e, S65 AMG, and Mercedes-Maybach S600 vehicles. A transistor within the power steering control unit may overheat resulting in the power steering system being disabled, increasing the risk of a crash. MBUSA will notify owners, and dealers will inspect the steering rack, replace it as necessary, free of charge. Mercedes-Benz USA (MBUSA) is recalling 3,620 model year 2016 GLE300d 4Matic, GLE400 4Matic, GLE350 4Matic, GLE63 AMG, GLE63 AMG Coupe, GLE63S AMG and GLE63S AMG Coupe, and 2017 GLS450 4Matic, GLE550 4Matic, and GLE63 AMG 4Matic vehicles. These vehicles may have excess bulkhead insulation extending into the lower windshield area, possibly affecting the windshield bonding and the deployment of the passenger's front airbag in the event of a crash. Mercedes-Benz USA (MBUSA) is recalling 20 model year 2017 E300 4Matics, E300s, and E43 AMGs fitted with LED headlights. The headlights may be misadjusted, possibly resulting in the low beam headlights insufficiently illuminating the roadway. MBUSA will notify owners, and dealers will inspect the headlamp adjustment, adjusting it as necessary, free of charge. Mercedes-Benz USA (MBUSA) is recalling 8,043 model year 2016-2017 G550 4Matic, G63 AMG, and G65 AMG vehicles. A malfunction of the Electronic Stability Program (ESP), while Distronic Plus is engaged, may cause the engine to not reduce power, regardless of the vehicle's speed, driving situation or brake application. Mercedes-Benz USA is recalling over 42,000 2008-2009 smart fortwo cabrio and fortwo coupe vehicles. The company says that the rear insulation mat found in the engine compartment can deform, loosen, or deteroriate over time. This can increase the risk of a fire if the mat comes into contact with hot exhaust system components. Mercedes-Benz USA (MBUSA) is recalling 42 model year 2017 E300 4Matics, E300s, E43 AMGs and E400s. The headlight horizontal adjustment screws on these vehicles may not be properly sealed behind a non-removable sealing cap to keep headlights from being readjusted. Mercedes-Benz USA (MBUSA) is recalling 1,263 model year 2018 Mercedes-Benz AMG GT, AMG GT R, AMG GT C and AMG GT S vehicles. The seat belts may bind within the guidance loops possibly causing slack in the seat belts. If the seat belt binds, slack may develop through occupant movement which may lead to increased personal injury in the event of a crash. MBUSA will notify owners, and dealers will reconfigure the seat belt guides, free of charge. Daimler Vans USA (DVUSA) is recalling six model year 2017-2018 Mercedes-Benz Metris vehicles. The drive shaft securing bolts may loosen at the automatic transmission flange. If the bolts loosen and fall out, the driveshaft may separate causing a loss of drive, thereby increasing the risk of a crash. DVUSA will notify owners, and dealers will replace the transmission flange, securing bolts, and clean the shaft seal, free of charge. 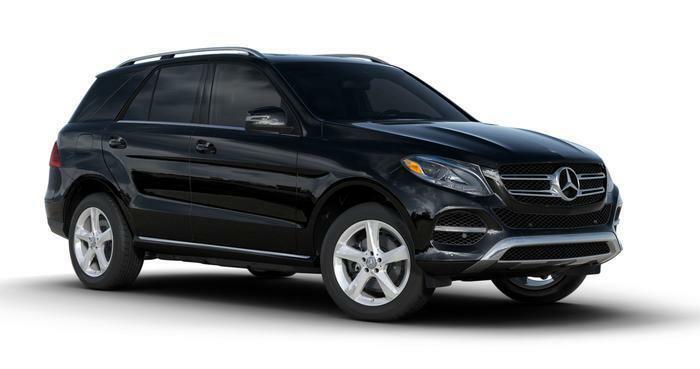 Mercedes-Benz USA (MBUSA) is recalling 64 model year 2016-2017 Mercedes GLE 550e 4MATICs. The tire pressure label on the B-pillar lists incorrect seating capacity and front and rear tire dimension information. As a result, these vehicles fail to comply with the requirements of Federal Motor Vehicle Safety Standard (FVMSS) number 101, "Tire Selection and Rims." Mercedes-Benz USA (MBUSA) is recalling 375 model year 2018 Mercedes Benz S63 AMG 4MATICs and S65 AMGs. The software calibration for the Active Lane Keeping Assist may be incorrect, and as a result, the system may not intervene in the event of an unintended lane departure while traveling faster than 65 miles an hour. This could increase the risk of a crash. MBUSA will notify owners, and dealers will update the multipurpose camera software, free of charge. Mercedes-Benz USA (MBUSA) is recalling 22 model year 2018 Mercedes-Benz E63S AMG 4MATICs. The front passenger seat can be adjusted beyond its intended limit posing an increased risk of injury to the occupant in the event of a crash. MBUSA will notify owners, and dealers will inspect the adjustment range, and if needed, install a mechanical adjustment range limitation or update the seat control unit software, free of charge. Mercedes-Benz USA (MBUSA) is recalling 99 model year 2018 Mercedes Benz C43 AMGs, C63S AMGs, E63 S AMG Sedans and E63S AMG Stationwagons fitted with AMG performance seats. The backrest rail and backrest fitting may not be properly welded on the driver and front passenger seats. Mercedes-Benz USA (MBUSA) is recalling seven model year 2019 GLC300s. An internal sensor within the electric power steering unit may fail, deactivating the power steering assist, increasing the risk of a crash. MBUSA will notify owners, and dealers will replace the steering unit, free of charge. An interim letter will be mailed beginning January 25, 2019, to notify owners of the issue. A second letter will be mailed once remedy parts are available. Mercedes-Benz USA (MBUSA) is recalling 399 model year 2018 Mercedes-Benz GLA250s and GLA250 4Matics. The child seat top tether anchorage point on the center position of the rear seat may not have been installed. If the anchorage point is missing, a child seat will not be able to be properly installed in the center rear seat position, increasing the risk of injury. MBUSA will notify owners, and dealers will replace the rear seat backrest, free of charge. Mercedes-Benz USA (MBUSA) is recalling 345 model year 2018 Mercedes-Benz E300, E300 4Matic, E43 AMG 4Matic, E400 4Matic, E63S AMG 4Matic+, and model year 2019 CLS450 4Matic vehicles. The Occupant Classification System (OCS) may not be properly calibrated, resulting in the front passenger airbag not being deactivated if a child seat is in the front seat. If a child seat is in the front seat and the passenger airbag is not deactivated, the risk of injury can increase. Mercedes-Benz USA (MBUSA) is recalling 86 model yearn 2018 Mercedes-Benz CLA250s, CLA250 4Matics, and CLA45 AMG 4Matics. If a child seat is in the front seat and the passenger air bag is not deactivated in the event of a crash, the risk of injury can increase. Mercedes-Benz USA (MBUSA) is recalling four model year 2018 GLE350s, GLE350 4Matics, and GLE43 AMGs. During manufacturing, components of the panoramic sunroof may have been installed with a bonding primer that was incorrectly made, possibly affecting the long-term adhesion to the vehicle. If the front cover and/or rear fixed glass are not properly adhered, they may detach, creating a road hazard and increasing the risk of a crash. Mercedes-Benz USA (MBUSA) is recalling 9,044 model year 2018 Mercedes-Benz GLE350 4Matics, GLE350s, GLS450 4Matics, GLS550 4matics, GLE43 AMG 4Matics, GLE63 AMG 4Matics, GLE63S AMG 4Matics, and GLS63 AMG 4Matics. The rear brake caliper pistons may not have been correctly coated, causing gas to become temporarily released into the rear brake hydraulic circuit, reducing braking performance and increase the risk of a crash. Mercedes-Benz USA (MBUSA) is recalling 4,702 model year 2016-2018 Mercedes-Benz GLC300s and GLC300 4Matics, model year 2018 GLC350e and GLC63 AMG 4Matic and model year 2017-2018 GLC43 AMG 4Matic vehicles. The seat belt latch plates (the parts that insert into the buckles) for the outboard rear seats may retract into the interior paneling, preventing the occupants from being able to use the seat belts. Mercedes-Benz USA (MBUSA) is recalling 4,073 model year 2018 Mercedes-Benz C300 4Matic Coupes, C300 4Matic Cabrios, E300s, E300 4Matics, C300s, C300 4Matics, C300 Coupes and C300 Cabrios. The cover for the starter battery may not cover the live positive electrical wire, and in certain crashes, the vehicle's strut brace may deform and short circuit the battery. Mercedes-Benz (MBUSA) is recalling 5,433 model year 2019 C300 4Matic Cabriolets, C43 AMG Cabriolets, C300 Cabriolets, C300 Coupes, C300 4Matic Coupes, C43 AMG Coupes, E450 Coupes, E53 AMG Cabriolets, S450s, S560s, E450 Cabriolets, E450 4Matic Cabriolets, E450 4Matic Coupes, E53 AMG Coupes, S450 4Matics, S560 4Matics, S63 AMGs and S65 AMGs, and Mercedes-Mayback S650s and S560 4 Matics. Mercedes-Benz USA (MBUSA) is recalling 6,162 model year 2015-2016 Mercedes Benz C300' model year 2017-2019 C300 Cabrio, C300 Coupe, C63 Cabrio; model year 2015 C63S AMG; model year 2018-2019 C300, C350e, C63 AMG, C63S AMG Cabrio; model year 2018 C63 AMG Cabrio, C63 AMG Coupe, C63S AMG, C63S AMG Coupe, E300, E400 Cabrio, E400 Coupe; and model year 2019 CLS450, E450 Cabrio, and E450 Coupe rear-wheel drive vehicles. Mercedes-Benz USA (MBUSA) is recalling one model year 2018 Mercedes-Benz E400 Coupe and one C300 4Matic Coupe. The steering coupling may not have been correctly locked during manufacturing. Mercedes-Benz recalls model year 2019 CLS450s, CLS450 4MATICs, and CLS53 AMGs. Mercedes-Benz USA (MBUSA) is recalling 104 model year 2019 CLS450s, CLS450 4MATICs, and CLS53 AMGs. The horizontal adjustment screw may not be effectively sealed, allowing the headlights to be improperly adjusted. If the headlights are not properly adjusted, the driver may have reduced visibility, increasing the risk of a crash. MBUSA has notified owners, and dealers will inspect the horizontal headlight adjustment screws, sealing them as necessary, free of charge. Mercedes-Benz USA (MBUSA) is recalling 779 model year 2018-2019 Mercedes-Benz GLC63 AMG Coupes, GLC63S AMG Coupes, and GLC63s. In the event of a crash, the front airbag may have a delayed deployment for certain unbelted front seat passengers, increasing the risk of injury. MBUSA has notified owners, and dealers will update the air bag control unit software parameters, free of charge. The seatbacks of the front seats may not lock properly on the right side of the seat. If the seatback does not lock properly, the seatbacks may fold forward in the event of a crash, increasing the risk of injury. Mercedes will notify owners, and dealers will inspect the locking of the seatback and replace the seatback lock as necessary free of charge.